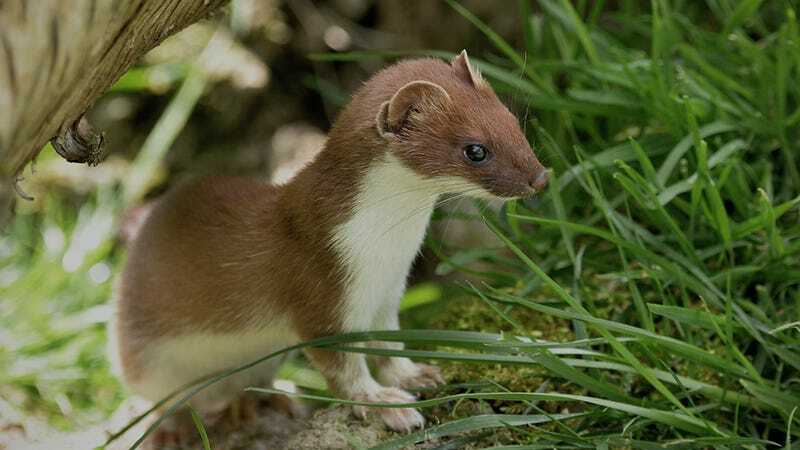 The stoat—a small, adorable, weasel-like mammal—is the one of the largest ecological threats in New Zealand. It’s a fierce invader with few predators that dines freely on the country’s endangered birds. The stoat did not come to New Zealand via any unfortunate accident. It was brought there on purpose, introduced in the 19th century to control another pest introduced by settlers, the rabbit. It was, in essence, a Russian nesting doll of ecological disasters—one bad decision supplanting yet another. “Thankfully it stopped there,” said Neil Gemmell, a New Zealand geneticist who works in ecological conservation. “There were no tigers introduced to stop the stoats, thank goodness,” he joked. Now this tiny island nation in the Southern Pacific is mulling a radical pest control strategy: Using a technique known as gene drive to engineer invasive species so that they breed themselves out of existence. Gene drives could be a revolutionary technological tool, capable of allowing scientists to engineer problematic pests like mosquitoes or rodents out of an environment. But first, there is an awful lot to figure out. And none of it is quite as simple as releasing a bunch of stoats to eat the rabbits. Using a gene drive, scientists can in theory override natural selection during reproduction, which could alter the genetic makeup of large populations of animals in a relatively short period of time. It works like this: In the lab, scientists might tweak a desired gene to, say, make a mouse only bear male offspring and then engineer a gene drive to force that gene to be passed along to all its offspring, usurping nature’s 50-50 inheritance mix. They would then release those lab-engineered mice to mate in the wild, eventually causing the wild mouse population to crash as the gene drive ensures that only male mice are born. Gene drives occur naturally in nature, but a human-engineered gene drive was only first demonstrated in fruit flies in 2015. The advent of the powerful gene editing technology CRISPR has made interest in gene drives surge, by making such complex genetic engineering much more feasible. That all of this might work, though, is still very theoretical. So far, synthetic gene drives have only been demonstrated to work in insects and yeast. In practice, gene drives are likely to encounter many obstacles, including safety concerns as well as regulatory and political hurdles. And from a more technical perspective, scientists don’t yet know if they’ll persist in the long term. Just as superbugs develop resistance to antibiotics, it’s likely that wild populations will develop resistance to modifications aimed at destroying them. In 2015, researchers demonstrated this, reporting that as an infertility mutation in female mosquitoes was successfully passed on to all their offspring over many generations, resistance also emerged, allowing some mosquitoes to avoid inheriting the mutation. Several research groups are working on a way around this, essentially seeking to override the evolution that overrides evolution. In a new paper published Wednesday in Science Advances, researchers propose a way to redesign gene drives in order to work around that immunity, hypothesizing that a more complex architecture would make it difficult for a mutation to occur in a short period of time. Instead of just including instructions for a gene drive to cut a piece of DNA in one place, their architecture it cuts in multiple places, meaning it would require multiple mutations to overwrite the drive. They also suggest targeting genes less likely to mutate in the first place, because they are essential to a species’ fitness. The paper is just a model of how such an experiment might work. It still needs to be tested in the lab. In other words, we can’t completely thwart evolution—at least not yet. But we might at least be able to put it on pause long enough to get what we need done. Another frequently cited concern is that gene drives might spread too wide, in the worst case eradicating an entire species from the globe instead of just one contained area. Scientists are working on that, too. MIT synthetic biologist and gene drive pioneer Kevin Esvelt has proposed using what he calls a “daisy chain drive” to limit how many generations of offspring wind up receiving the genetically engineered traits. Esvelt also recently proposed a sort of CTRL-Z for gene drive, a daisy chain drive design that would allow scientists to overwrite their original edits if something went wrong. It works a little like a as a gene drive for gene drive, a way of overwriting a gene drive and removing it from a wild population if something goes awry. These ideas, too, though, are still very theoretical. New Zealand may be the first place where the idea of a gene drive finds widespread support. There, the technology is being considered as part of a bold plan announced last summer by the New Zealand government to eradicate all wild predators by 2050. (Introduced predators, including possums, stoats, and feral cats, have for generations wreaked havoc on New Zealand’s native bird populations, which evolved in predator-free bliss.) The country has invested $28 million in a new joint venture company, Predator Free New Zealand Ltd, with the stated goal of achieving a “scientific breakthrough capable of removing at least one small mammalian predator from New Zealand entirely” by 2025. The country’s Department of Conservation and others affiliated with the effort have suggested genetic engineering just might be that breakthrough. Two scientific teams in Australia and Texas, in collaboration with the US group Island Conservation, are working to engineer mice to only birth male offspring, a bias meant to drive down mouse populations. It stands to be a major breakthrough—the first time a gene drive had been achieved in mammals—and New Zealand is one of the places the self-destructive mice might be deployed. Still, both teams need to demonstrate that their mice will successfully pass on engineered genes over several generations. And even then, still more tests will be needed to determine whether those mice can effectively compete for mates in the wild. If it worked, the gene drive could be a powerful tool in fighting many of the problems that plague our world today. Increasingly, this is being recognized, albeit with plenty of trepidation. In Hawaii, gene drives have been floated as a solution to the disease-carrying mosquitoes that threaten native bird populations, though the technology is still too nascent to be seriously considered at the moment. And in Burkina Faso, scientists plan to release gene-driven mosquitoes to target malaria. Neil Gemmell, the New Zealand geneticist, said that despite all of the hurdles, it’s possible that New Zealand might entertain releasing a gene drive by 2025. While stoats and possums are New Zealand’s biggest threat to endangered species, the project would likely first target mice, since far more is known about their genetics and how to engineer them. Still, he said, we should be cautious not to think of gene drives as a miracle cure.